Here are our top tips for visiting Buenos Aires on a budget. Flying around South America is expensive, there’s no denying it. However there are huge savings to be had by flying into Montevideo in neighbouring Uruguay then catching the ferry to BA. We saved a couple of hundred pounds by doing this, plus we also got the chance to see another South American country! Ferries run twice daily between Montevideo and BA and take just over 2 hours costing around £60. 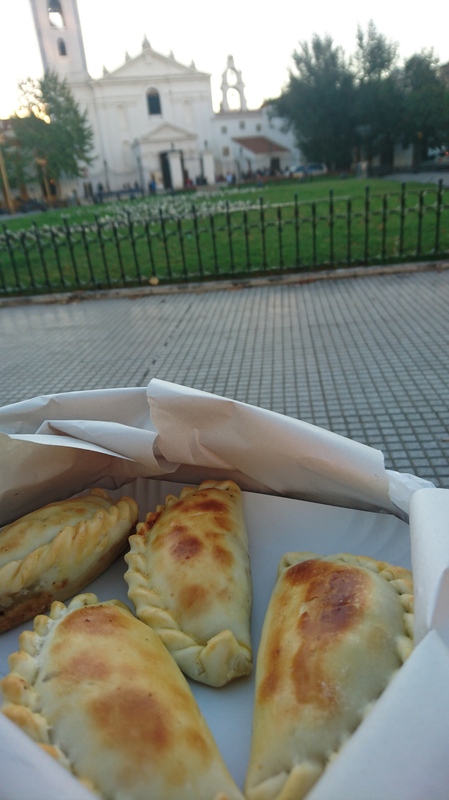 In Buenos Aires empanadas are king. They’re also delicious and dirt cheap! Avoid the stands around the microcentre which are of poorer quality and slightly pricier and instead venture into the surrounding neighbourhoods where an empanada can be had for less than £1. They generally come in 3 flavours: carne (meat), pollo (chicken) and queso (cheese). 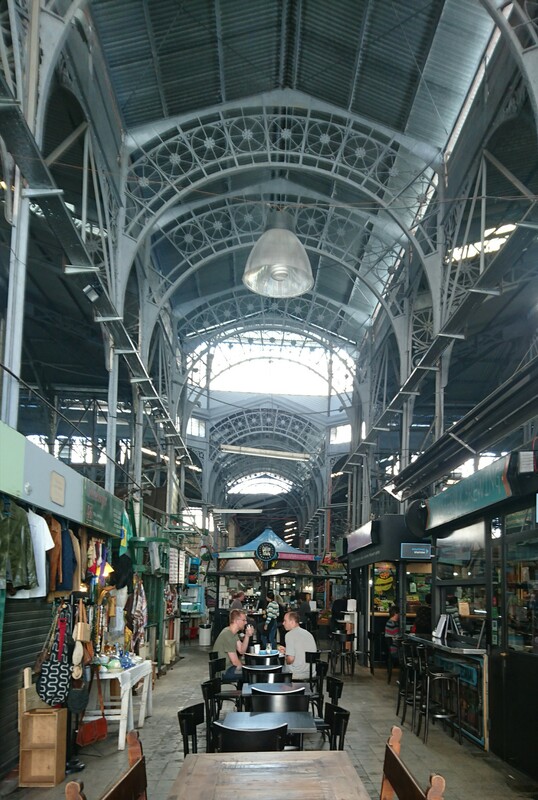 We found some great places around Recoleta and San Telmo. Any time is empanada time in Buenos Aires! As an alternative, ‘Ugi’s Pizza’ can be found at several locations around the city. A large margarita made fresh right in front of you costs just £4 and is plenty for two people. 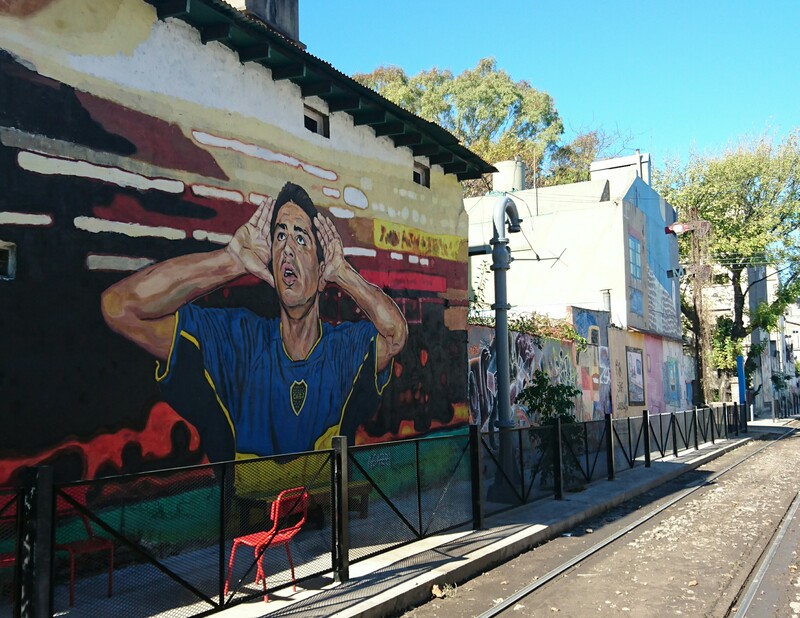 Working class La Boca is famous for its brightly coloured buildings and street art. Caminito is the most frequented (and touristy) area but venture down any of the surrounding streets and there are visual masterpieces to be found. Your only challenge will be deciding which camera angle to use! We found tango shows to be expensive and touristy, so if you want to see some of those famous Latin American moves without the hefty price tag head to San Telmo. This charming cobblestoned barrio is home to Buenos Aires’ main tango culture and ‘donation shows’ frequently take place in Plaza Dorrego. San Telmo also has some of the oldest and most beautiful buildings in the city so is worth a visit in its own right. Check out the bustling market, then grab a table in one of the many cafes that fill the square and wait for the rhythm to get you! The Argentinians sure do cook a mean steak and it would be a crime to visit Buenos Aires and not sample at least one. We spent hours researching the best parillas (we like our steak!) and found the recommended places to be prohibitively expensive. However, do not fear! 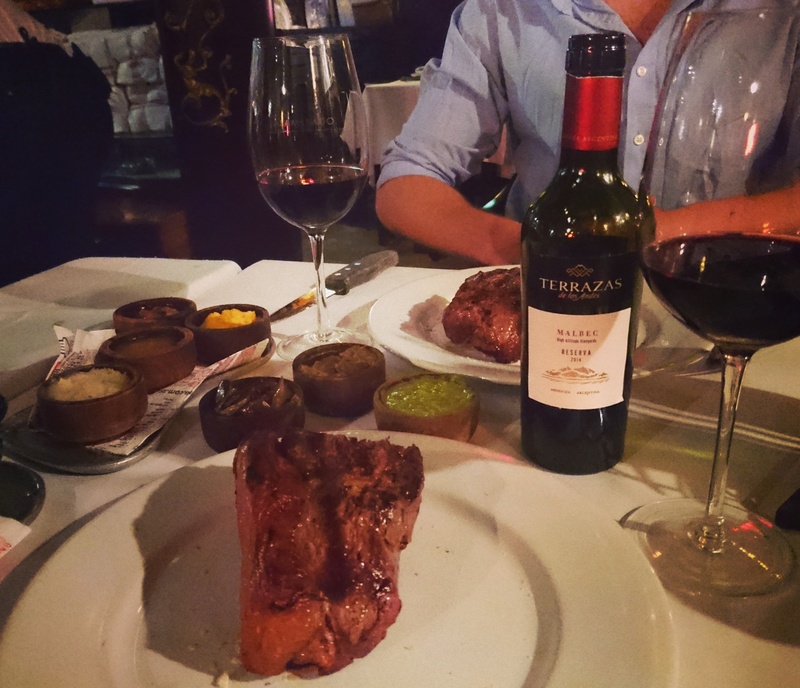 La Cabrera in Palermo district is widely regarded as one of the best steak houses in Buenos Aires and offers a whopping 40% discount if you dine between 7pm and 8pm. You can’t book in advance so be prepared to arrive 15 minutes early and queue. But trust us, it’s well worth it for the perfectly cooked meat, delicious side dishes and authentic atmosphere. And their Malbec wine is pretty good too! Bear with us on this one! 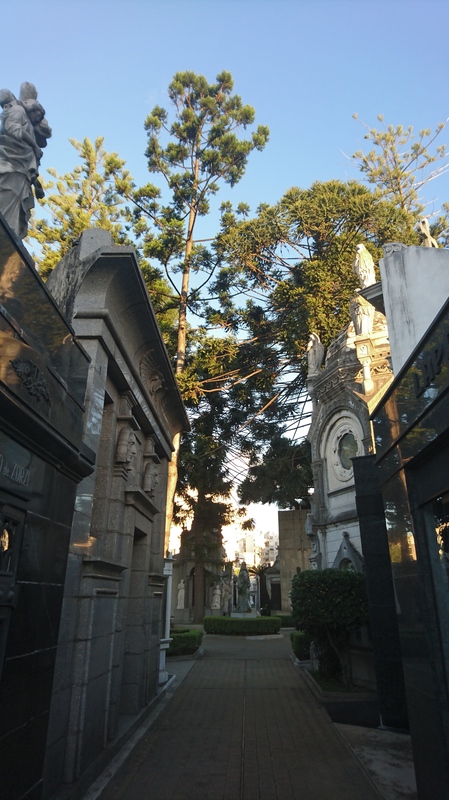 I know you’re probably thinking we’re clutching at straws and visiting a graveyard is the most depressing holiday activity anyone ever suggested, but Recoleta Cemetery really is something to behold! This miniture city of dramatic carved marble houses decorated with turrets and statues contain the city’s most famous former residents including icon Evita. Visit just before sunset when the shadows add another layer of atmosphere to this intriguing place. Run by enthusastic volunteers, this free walking tour takes in the key city sights and comes highly recommended. 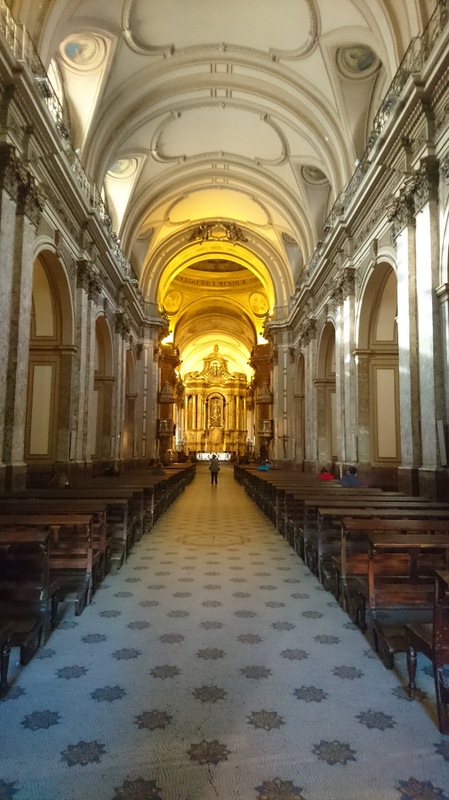 So if you want to hear more about the culture and history behind Buenos Aires’ most famous buildings this is the tour for you. The meeting point is the corner of Rivadavia Avenue and tours run Mon – Fri at 11am. 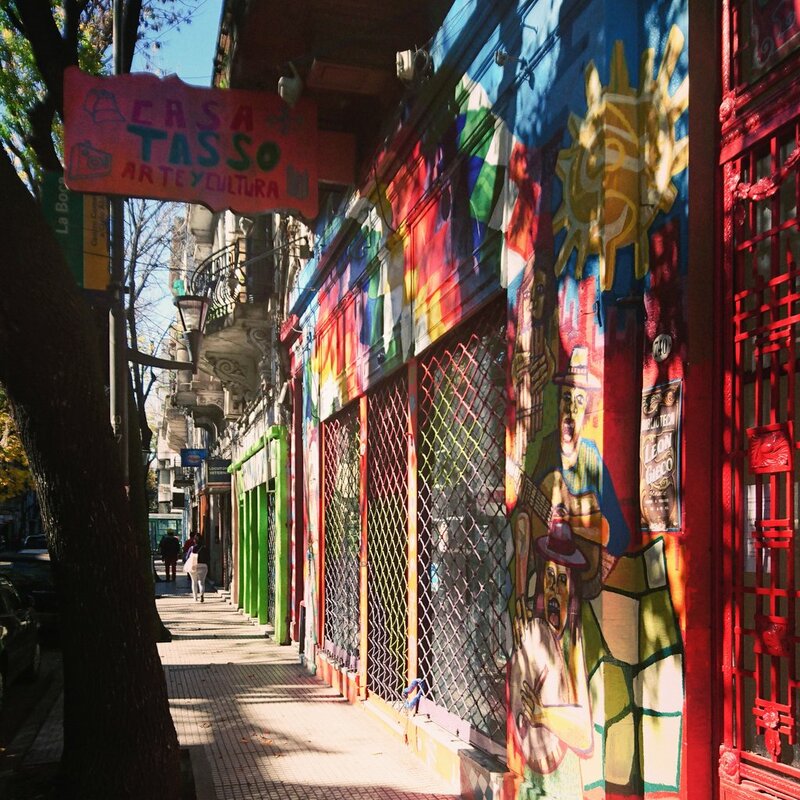 A small budget goes a long way in Buenos Aires and there are plenty of good value hostels around. Since we were arriving off a long international flight from New Zealand where we’d also been sleeping in a campervan for a month, we stretched our budget slightly and stayed in a self catering apartment on Av 9 de Julio. Three nights in double loft room at plush HTL 9 de Julio BsAs cost us just £84 (£28 per night). Not bad considering the central location (10 mins walk to centre) and quality of accommodation. If you have any budget travel tips for Buenos Aires let us know, we’d love to hear from you! Just leave a comment below or get in touch through our contacts page. 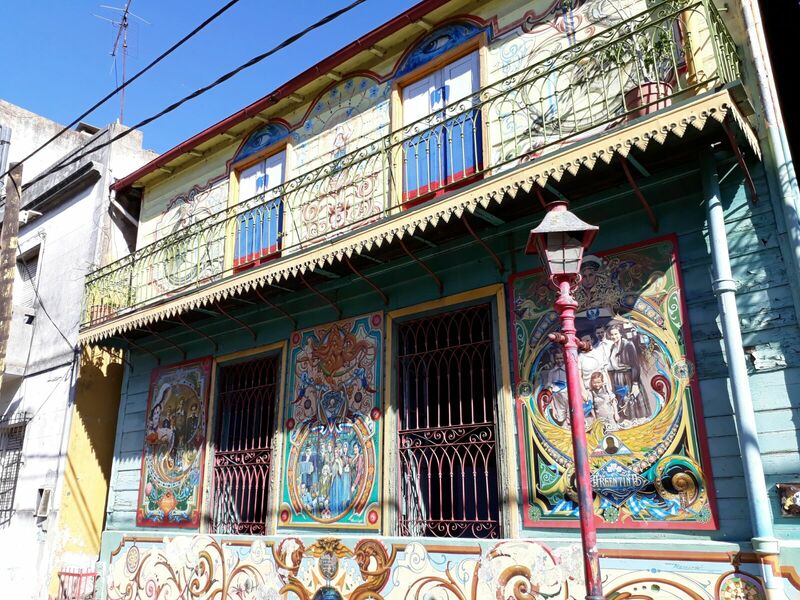 The street art, architecture and tango culture all shout Buenos Aires. The food looks delicious and such generous portions for a reasonable price – ideal for those with healthy appetites! Love the blog. Buenos Aires – sightseeing, eating, music and dance all on a budget! Another informative, helpful and interesting blog.